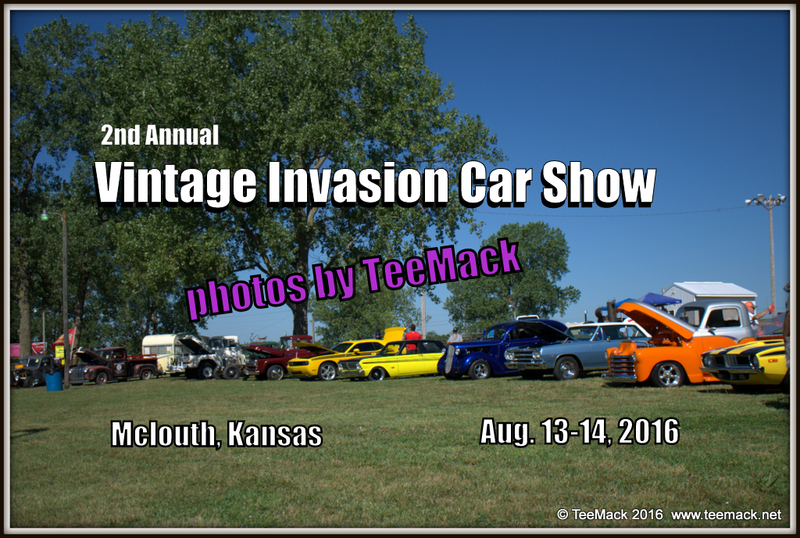 The Vintage Invasion Car Show hosted by Rusty Metal Productions was held on Aug. 13-14, 2016 in McLouth, Kansas. 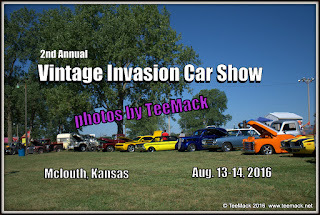 The car show was held at the Antique Engine Park in McLouth, Kansas. The show was open to all Old Skool Hot Rods, Muscle Cars, Trucks, Bikes, Tractors and Vintage Campers. The rustic country setting of the park provided an ideal place for the car show. The car show included a Pin Up Contest, several local food venders, and a swap meet. Click here to view individual photos or to purchase high quality prints.